Late in 2017, several groups of researchers from Graz University of Technology in Austria to Google’s labs, discovered a pair of exploits subsequently dubbed “Meltdown” and “Spectre” that have the cyber security community all abuzz. What makes these exploits so scary is the fact that they allow access to the most sensitive information on almost all the active computers in the world. The Legal Technology Resource Center of the ABA has released its 2017 survey of technology use in the legal profession. iPhone users have long suspected that Apple was slowing down its older iPhone models. The conspiracy theory was that Apple’s goal was to get users fed up with slow performance to push them to purchase the newer more expensive models and thereby keep device sales (and company profits) up. 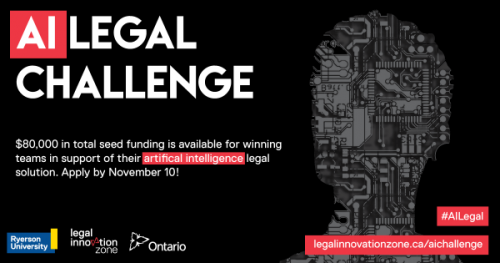 The Legal Innovation Zone (LIZ) at Ryerson University, in partnership with the Ministry of the Attorney General (MAG), has announced finalists for the Ontario AI Legal Challenge with an eventual prize of $80K seed funding and access to LIZ’s resources and mentoring. What is net neutrality and why is it important? Net neutrality is the idea that all data must be treated equally on the Internet. The principle supports free speech on the Internet because it prevents Internet Service Providers (ISPs) from discriminating on speed or content.